Platinum mining and refining faces certain challenges based on the properties of pure platinum as found in nature. A solid platinum nugget. Image from popsci.com. 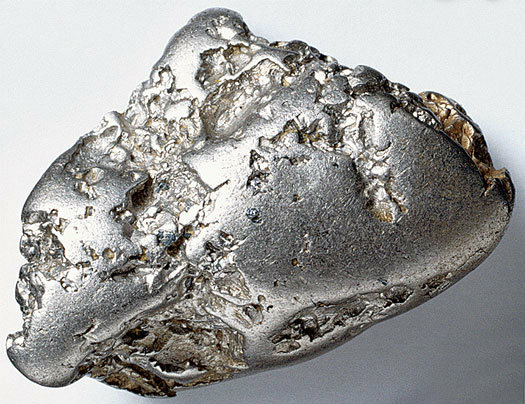 Nuggets or grains of pure platinum can be found in nature, but more frequently, platinum is found alloyed with other metals, such as iron, copper, gold, nickel, and the other PGMs. 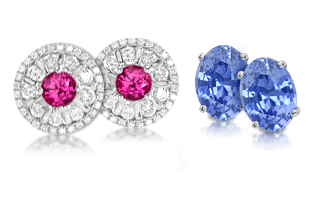 The size of platinum grains or nuggets varies from small granules to pebbles weighing up to 20 pounds (9 kg) or more. 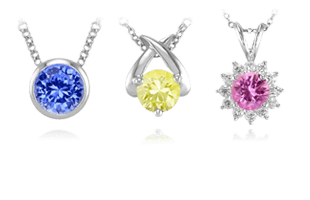 When platinum is found in a pure state, it is called native platinum . The Ural Mountains are well known for their rich mineral deposits. 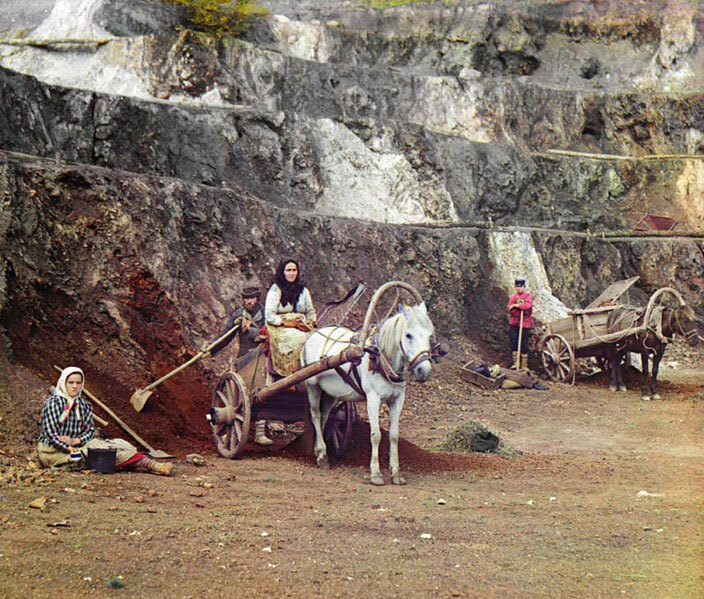 Over the last few centuries mining has varied from small-scale family operations to large mining conglomerates. 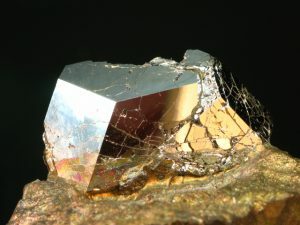 In contrast to gold, platinum nuggets are relatively inconspicuous. They have a dull grayish or blackish color but when you handle them, they can be distinguished by their extraordinary heft . 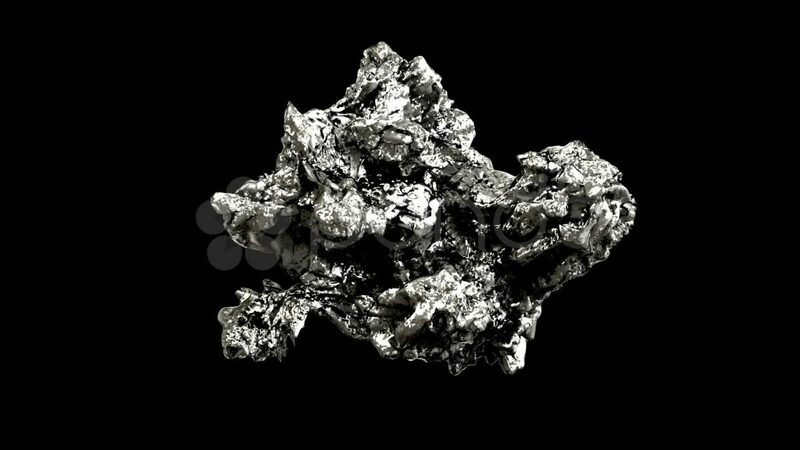 When iron is present in the alloy, a platinum nugget can also be slightly magnetic, a diagnostic tool for evaluating new discoveries. Native platinum and platinum alloys can be found in concentrated sand and gravel beds called placer deposits. The sand and gravel beds are created when old rock is eroded from its source and further ground into pieces as it is washed into streams and rivers. Most of the world’s placer platinum is found in Russia. 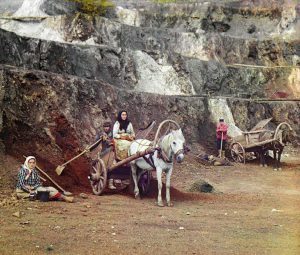 In the 19th century, alluvial deposits in the Ural Mountains were heavily mined. However, these deposits have been stripped of their highest-grade ore and now account for less than one percent of the platinum production from Russia. Alluvial platinum deposit in the far eastern Koryak region of Russia. 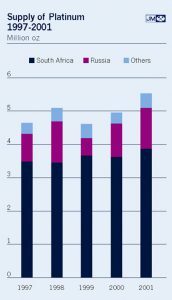 Over the past ten years, significant quantities of platinum have been produced from two alluvial deposits in the far eastern region of Russia: the Kondyor mine in Khabarovsk region and the Koryak mine in Kamchatka. Together these two operations produced 185,000 oz of platinum in 2005. 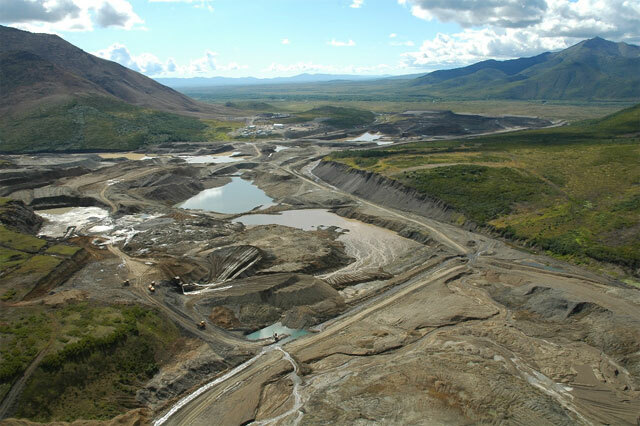 Mining platinum in placer deposits is a relatively simple process. Dredges scoop the platinum-bearing sand or gravel from riverbeds or mining pits. 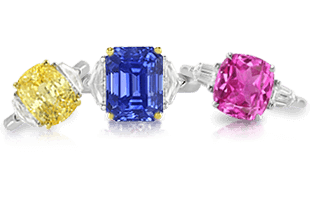 The material is washed until platinum grains or nuggets are captured and pulled from the surrounding material. 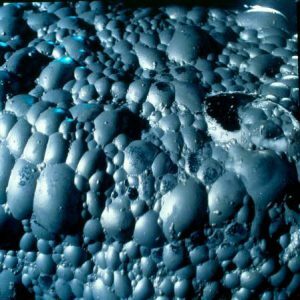 Sperrylite, or platinum arsenide. Photo from Thomas A. Loomis, Dakota Matrix Minerals. Platinum is also mined as an ore . Platinum ores such as sperrylite and cooperite may be mined when they are found in quantities that make extraction economically feasible. 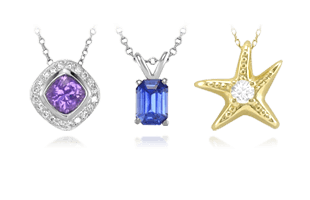 In other situations, platinum is obtained as a by-product when ores of other metals, such as copper and nickel, are refined. 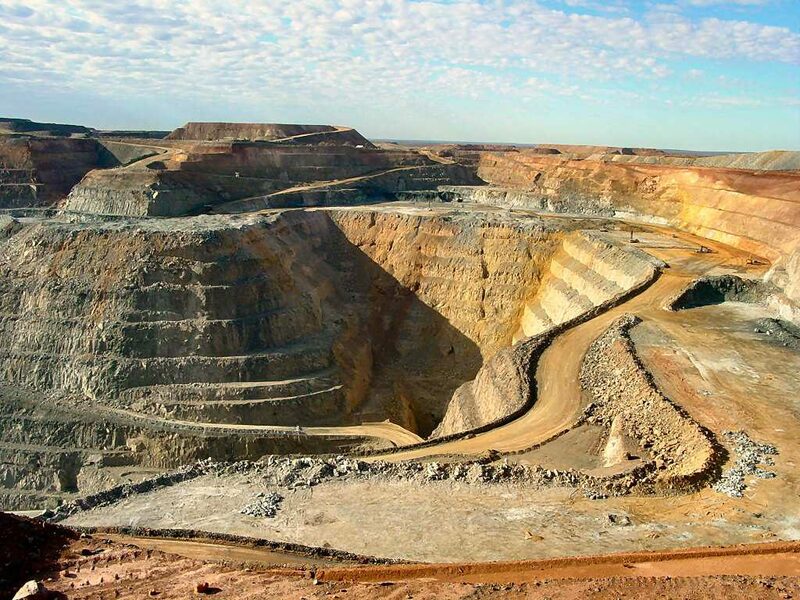 Most of the mining for platinum ore occurs deep underground. To extract the mineral-rich materials, miners pack explosives into holes drilled in the rock and blast it into smaller pieces. The broken rock is then collected and transported to the surface for processing. Platinum production in South Africa. Photo by Johnson Matthey. 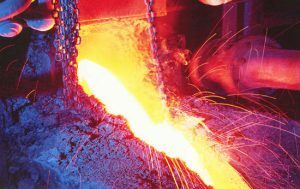 Refining platinum ore is a costly and laborious process. It can take from eight weeks to six months to process a batch of ore, and it can take up to 12 tons (11 tonnes) of ore to produce a single troy ounce of platinum. Once the broken ore is transported to the surface of the mine, it is crushed by machinery into small pieces and mixed with water and chemicals, which bind to the platinum and other metals. 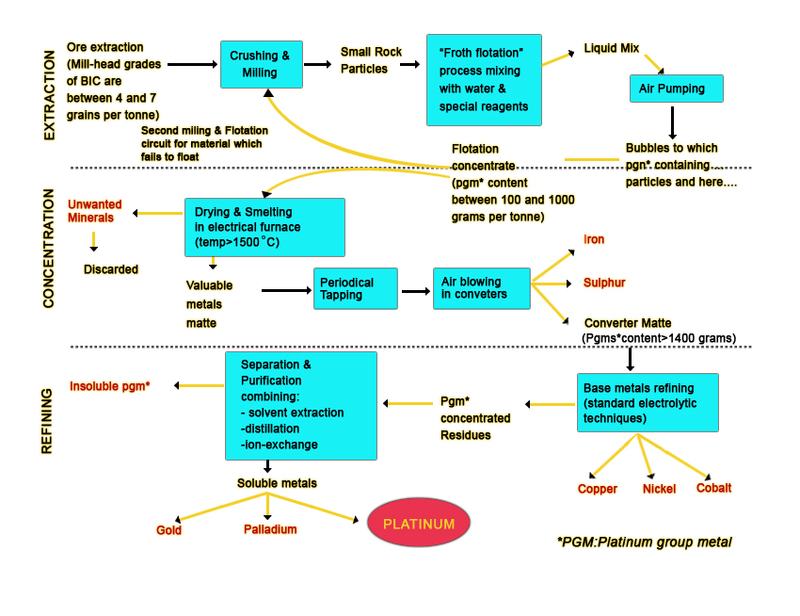 The complex process for refining platinum. Image from UNCTAD. In a process called flotation separation, air bubbles are blown through the mixture and carry platinum particles to the surface of the bath. The platinum-rich froth is skimmed from the bath and allowed to dry into a concentrated powder. One ton of dried powder may contain between 3 and 30 ounces (85 to 850 grams) of PGMs. Froth generated at the top of a flotation cell concentrates the platinum particles. The dried powder is then heated to extremely high temperatures to remove impurities. Air is blown over the matte that remains after smelting to eliminate unwanted iron and sulfur. At this point, the PGM content of the matte is now about 50 ounces (1.4 kg) per ton. Further chemical processing will remove any base metals remaining in the matte, such as copper and nickel. At this stage, the mineral concentrate contains about 15 to 20 percent PGMs. In the final stage, the mineral concentrate is treated with aqua regia to dissolve the platinum. The solution is filtered, purified, and burned to produce pure platinum metal. 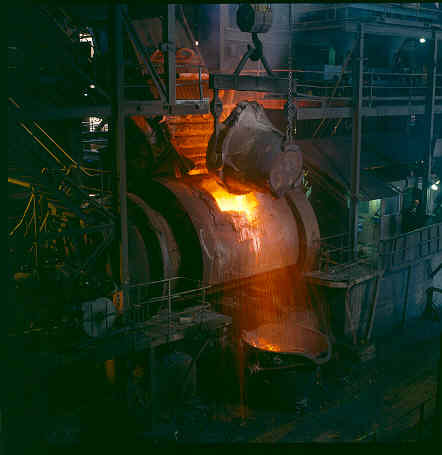 Molten matte containing palladium and platinum is emptied from the furnaces at the Stillwater mine in North America. The majority of world’s supply of platinum comes from two key sources. 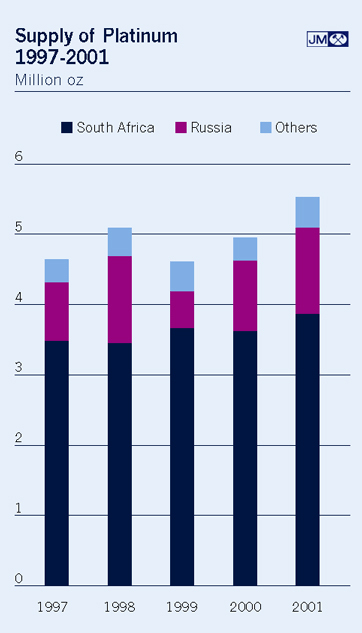 Platinum deposits are located in only a few areas of the world. For every ten gold mines there is only a single platinum mine. All the platinum ever mined would fill a room no more than 25 feet square. Today, world platinum production hovers at about seven million troy ounces per year. More than 70 percent of the world’s platinum supply comes from the Bushveld Complex in South Africa’s Transvaal. Platinum was discovered in this region in 1924, further fueling the world’s platinum craze. 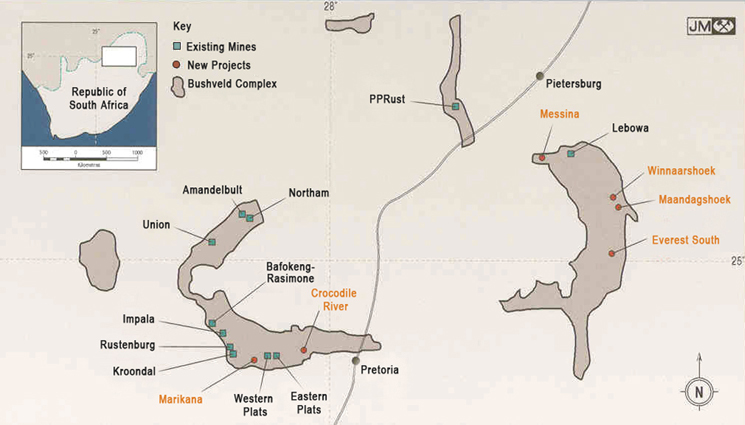 The South African Bushveld Complex supplies a majority of the world’s platinum. Russia is the second largest producer of platinum. The Norilsk-Talnakh region of Siberia contributes 20 percent of the world’s platinum supply, which is retrieved from massive nickel-copper-palladium deposits some 1200 meters below the surface. Another six percent of the world’s supply comes from North America, where large deposits can be found in Montana, Alaska, and in Ontario, Canada. Next we will explore the final precious metal in Silver Mining and Refining | Silver Processes and Uses.